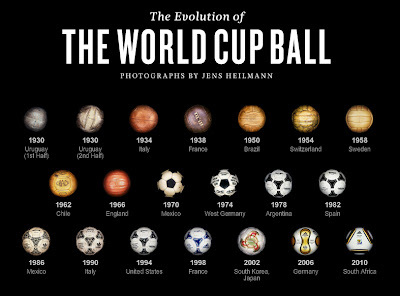 Much discussion, as ever, about the World Cup ball. It's a four year tradition to have goalkeepers, strikers, pundits, coaches and player's grannies moaning about how frightfully unfair Fifa and Adidas have been. Thus far you have to say that it's more than the ball that has contributed to some of the rather poor football we've seen. 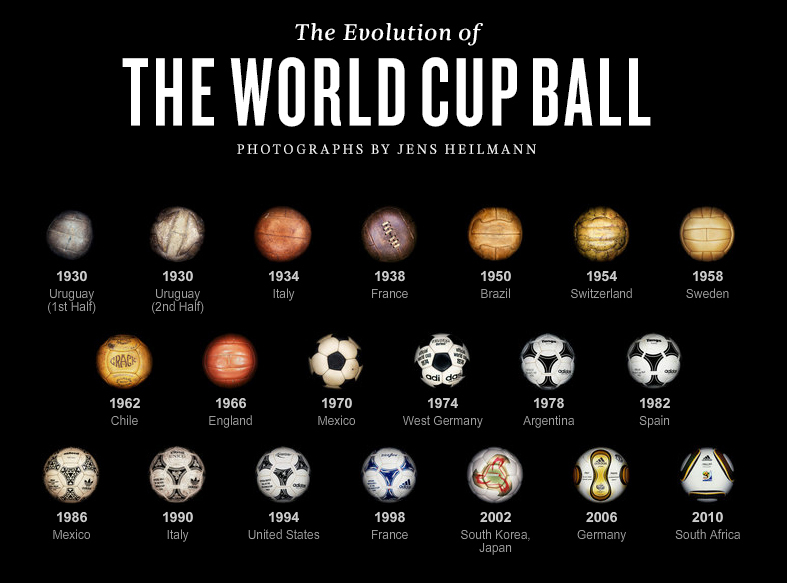 Anyway, a handy graphic from the New York Times on the evolution of the World Cup ball. You wonder how today's players would react to playing with a different ball in each half as happened back in 1930.